Unlike Olive, Willow was much luckier in the marriage department. Her boyfriend , Creon Nigmos, proposed to her, and they were married without any major drama. Willow and Creon Nigmos had a happy marriage. Their only major sadness was being unable to conceive a child for a long time. So at the time Peponi and Lerato Muenda passed away, they had no grandchildren yet. The Muenda parents died when their kitchen caught fire from a failed baked alaska. Olive had no hand in this matter. 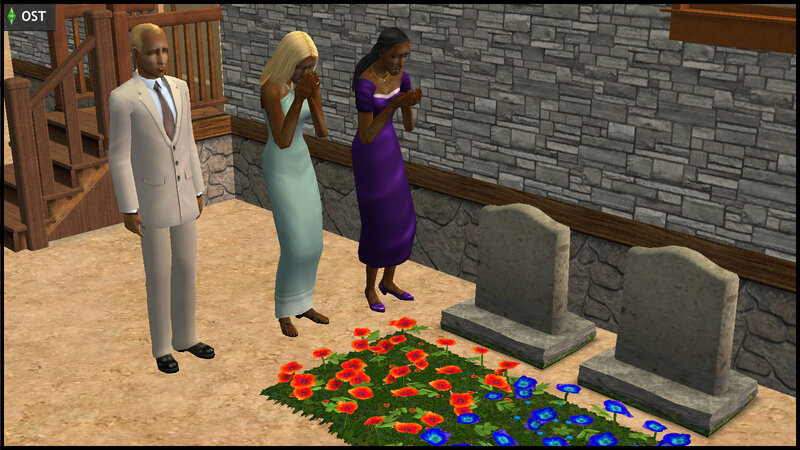 She and Willow were truly devastated at their parents’ deaths. Rigger Mortis was a “new rich” businessman, who had no heir in his old age. As a result, he was on the lookout for a young and beautiful wife to give him an heir. Olive had no wish to oblige Rigger’s desire for a Junior Mortis, but pretended to love the old man, because she was in love with his money. Rigger indulged her by buying her expensive jewelry, but she did not ask for much. 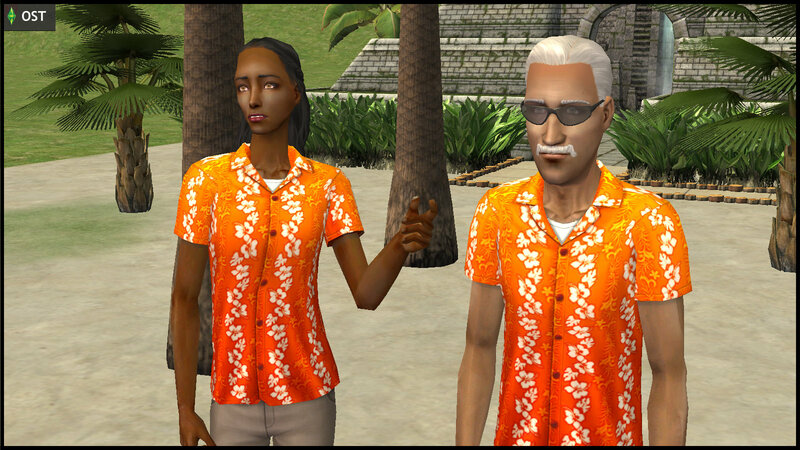 It was Rigger’s idea for them to go for an expensive honeymoon at Simwaii, after their wedding. During the honeymoon, they went for a hike. Midway along the trail, Olive complained that she dropped her wedding ring. Rigger was annoyed, not at Olive, but because the ring was expensive. Being the Chivalrous (^) sort, he volunteered to look around. Olive took this chance to strike again with her magic formula, setting the nearby vegetation on fire, before making her stealthy escape. By the time Rigger smelled the fire, it was too late to escape. His frantic cries for Olive went unanswered. As Rigger’s screams subsided, the conflagration was abruptly extinguished with the arrival of the familiar dark-hooded figure. Olive emerged from her hiding place. “It’s you again,” she ventured to speak at last. With that, Thanatos Grimm disappeared. Olive mentally replayed that short conversation over and over in her head, happy that she could finally speak to the mysterious Thanatos, yet sad that he could not stay in the mortal realm for much longer. Then she suddenly remembered the ring in her pocket. 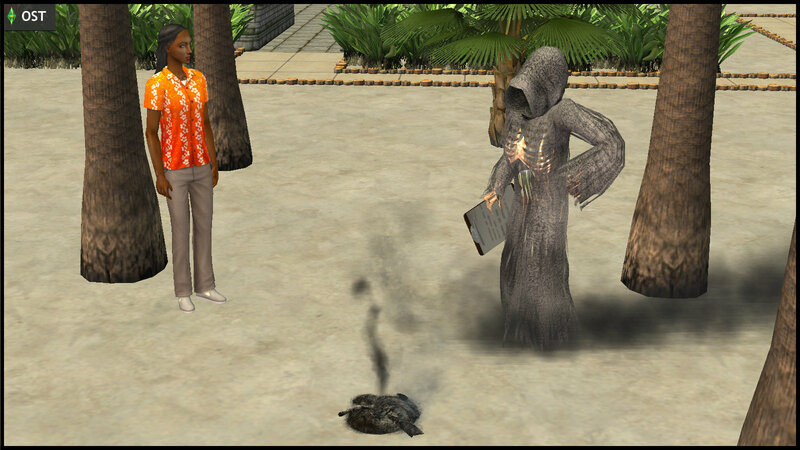 She hid her glee behind a sad face, as she received all of Rigger Mortis’ simoleons in the will. After getting Rigger’s money, Olive thought she felt like a new person. Her mid-life crisis prompted her to take a 180-degree turn from her introverted lifestyle. 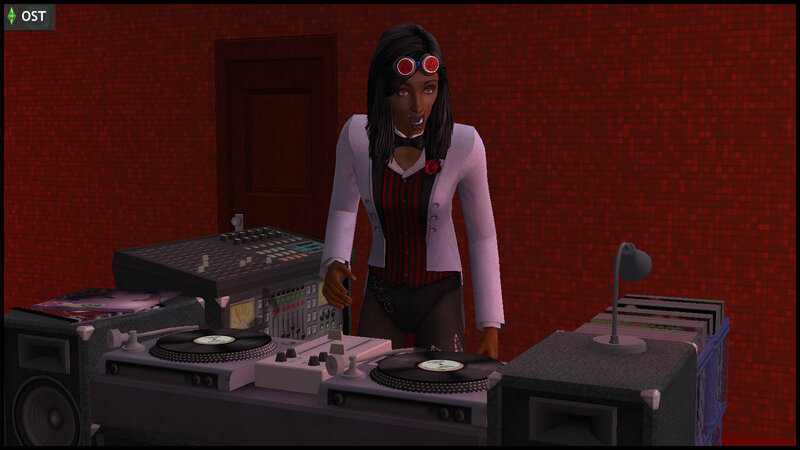 She took to the nightlife as a DJ, with the stage name “Spectra”. 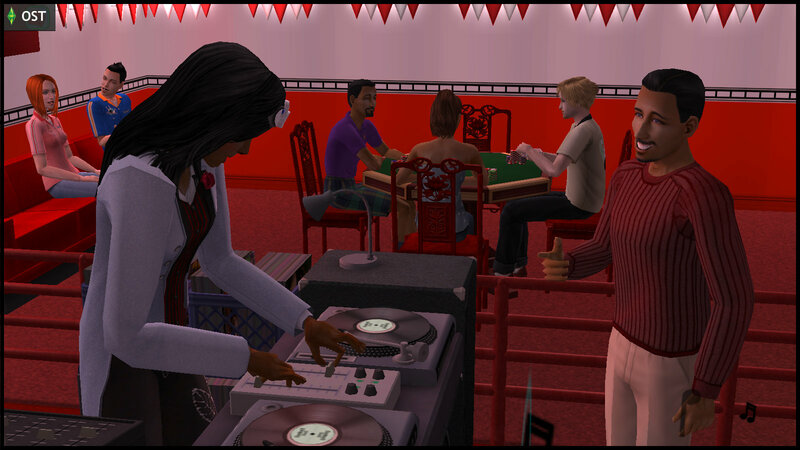 Among the many men who paid attention to DJ Spectra, Hugh Thanasia stood out. Olive enjoyed his compliments that she had a “deep, mysterious nature, and perhaps even a dark side”. She was sure that he understood her. That was way better than the other shallow pick-up lines she kept getting. Above all, Hugh was romantic. Olive fell head-over-heels in love with him. Their whirlwind romance resulted in a quick proposal and rushed wedding… despite her NOT being pregnant with his child. 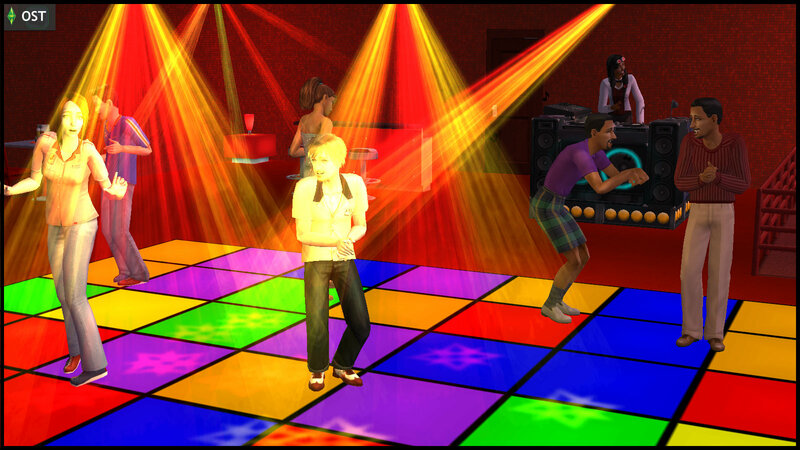 A few days after the wedding, DJ Spectra was back at the nightclub with Hugh and his brother, Lou Thanasia. Olive left the table to go to the bathroom, and the Thanasia brothers began talking. As they downed their pints, Lou mumbled about how Hugh should dump Olive, so the brothers could take her money to buy a castle in Ticktop (^), so they can both live like kings. Hugh agreed, and the brothers drunk to their plan. 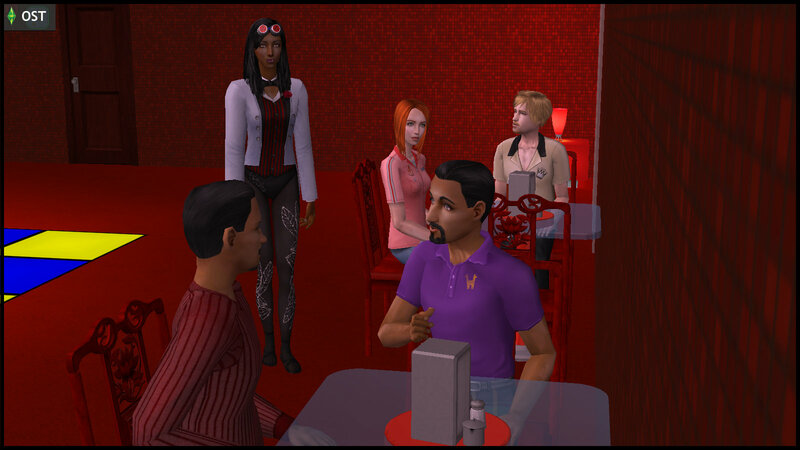 They did not know that they could possibly be overheard in the noisy nightclub… by Olive, who returned to the table sooner than they thought. Olive’s illusion of marital bliss was shattered once again. In her dismay, she realized that Hugh and Lou were nothing more than con artists. She could not bear the thought that Hugh had fooled her, like how she had used Rigger Mortis. Yet Olive failed to recognize her own hypocrisy, focusing instead on a quick plan for revenge. Had she lost her conscience by now? She decided to use her magic fire formula again… in their new marital home. Olive made an excuse about checking in on her DJ work, but actually went back home to quickly remove all her important things from inside and outside the house, and stashed them somewhere else safely. Lou happened to be drunk that night, and was brought back by Hugh to spend the night. After successfully feigning sleep, and confirming that the Thanasia brothers were truly asleep, Olive doused their bedding with her magic formula. Hugh and Lou soon succumbed to the resulting blaze, bringing Thanatos Grimm back to work. 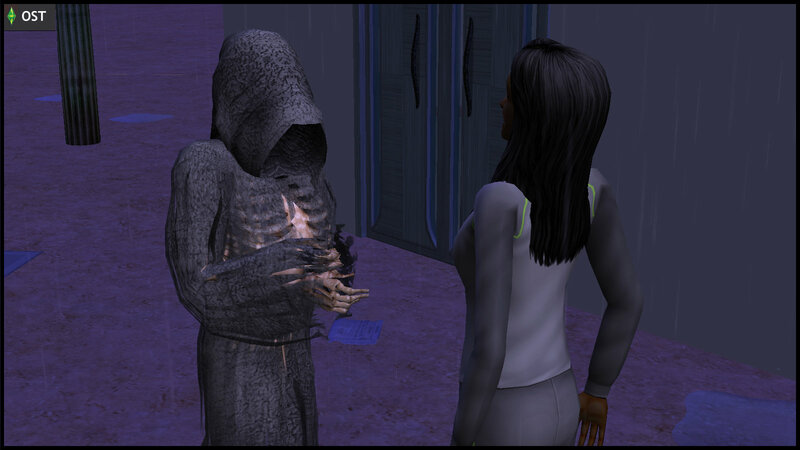 After reaping, Thanatos Grimm went outside the house to meet Olive. “You did this, didn’t you? Just to see me again?” His tone was calm and measured. Then he vanished again, and Olive’s heart sank. Thanatos was right. She was Ms Muenda once again. So far, Hugh Thanasia was the only one of Olive’s husbands to have outwitted her at some point. Did Hugh manage to get the last laugh in [STSYC #5]? After that Thanasia ordeal, Olive promised herself she would just stick to her own “comfort zone”. She told herself she wouldn’t have met Hugh if she didn’t try to “branch out”. 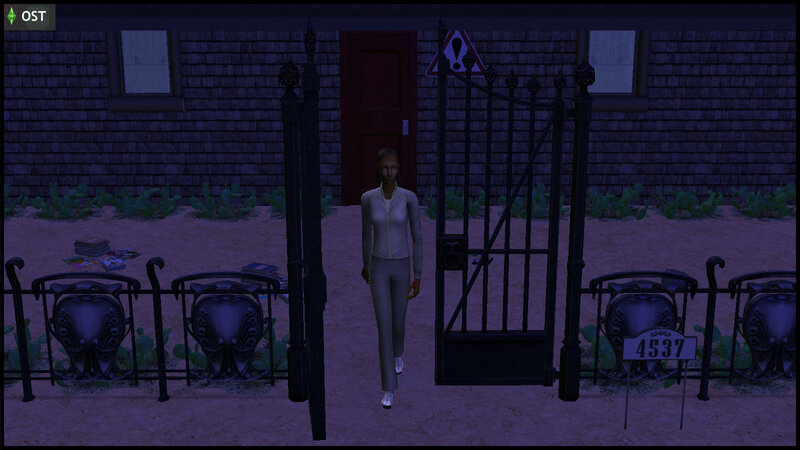 She decided to flee to Midnight Hollow immediately, before the police even summoned her. She realized in dismay that she had accidentally dropped Lou Thanasia’s recent urn, so he was not part of her collection. She would leave everyone else in a hidden crypt in a creepy abandoned shack nearby. Perhaps she may come back one day to retrieve them. Olive would also need a new pseudonym to stay safe in Midnight Hollow. Perhaps “Specter”, a variant of her DJ name “Spectra”, that she had since grown attached to, would work well as an assumed surname. 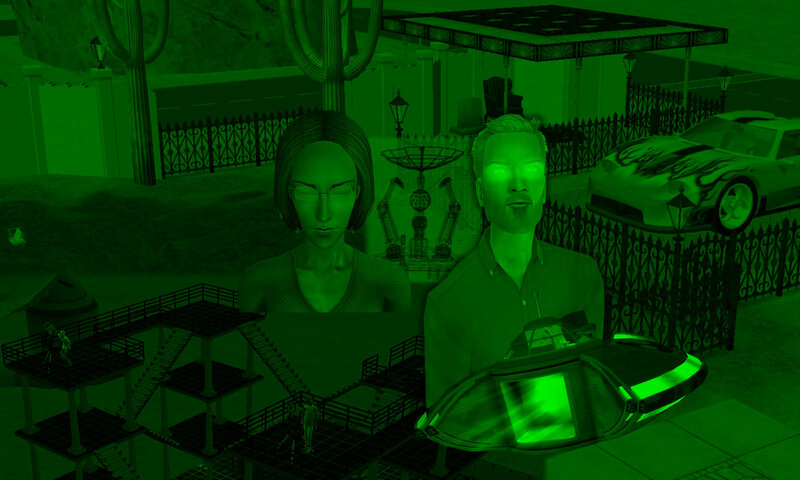 Midnight Hollow, be ready for Olive Specter. In the canonical Midnight Hollow, the only graves in Olive’s yard were those belonging to Rigger Mortis, Hugh Thanasia and Ichabod Specter, but strangely NOT Earl E. DeMise. But because of the retconned timing of Ichabod Specter’s death, Ichabod’s supposed grave is replaced by Earl E.’s instead in STSYC. During the time she lived in Midnight Hollow with toddler Nervous, she would have likely been “Olive Thanasia” instead, assuming she kept her last husband’s surname, or “Olive Muenda”, if she reverted to her maiden name after each marriage ended. 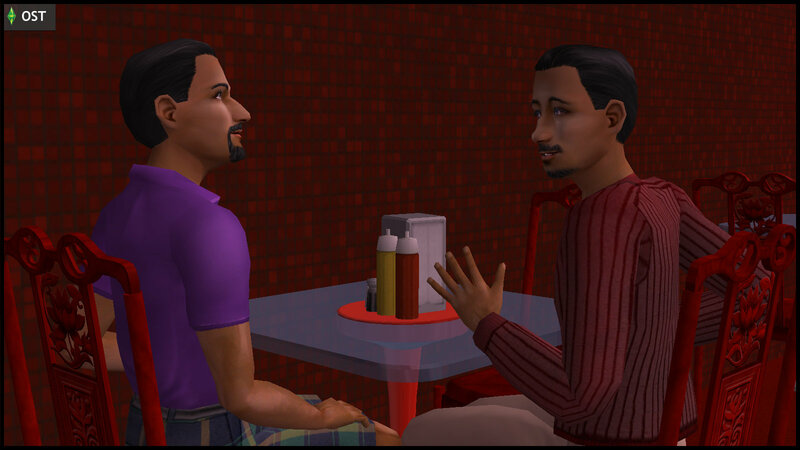 The authors believe that it was most likely a marketing decision by EA to have retconned the timing of Ichabod Specter’s death: so that Olive has her familiar surname “Specter”, and is recognizable at this earlier life stage. Fans would have been less likely to recognize her as “Olive Thanasia” or “Olive Muenda”, and possibly be less inclined to buy Midnight Hollow. So the authors picked a middle-ground solution. Given STSYC Olive’s habit of using pseudonyms, it was coincidental for her to pick an assumed surname that would eventually become her legal surname via a future marriage. 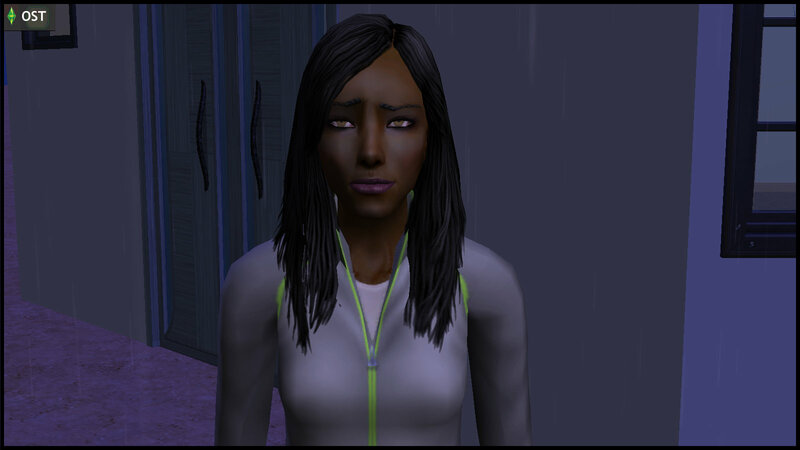 What can Olive expect in her new life in Midnight Hollow? Which of her experiences may come back to haunt her when she gets much older?